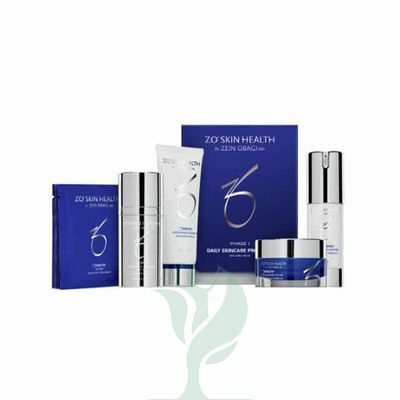 ZO® PHASE 1: DAILY SKINCARE PROGRAM is a skin care regimen of five products targeting prevention of signs of aging, such as wrinkles and hyperpigmentation. The skin care kit includes ZO® OFFECTS™ EXFOLIATING CLEANSER, ZO® OFFECTS™ EXFOLIATING POLISH, ZO® OFFECTS™ TE-PADS ACNE PORE TREATMENT, ZO® OSSENTIAL™ DAILY POWER DEFENSE, and ZO® OCLIPSE™ SUNSCREEN + PRIMER SPF 30. The products help exfoliate and protect skin, helping to maintain a youthful appearance. Doctors such as plastic surgeons and dermatologists may recommend Zo Phase 1 Daily Skin Care Program 5 to their patients who would like to treat or prevent fine lines, wrinkles, and other signs of aging. This skin care program targets an aging complexion with wrinkles and hyperpigmentation. Usually people between the ages of seventeen and twenty-five will use ZO® PHASE 1: DAILY SKINCARE PROGRAM to help prevent signs of aging. ZO® PHASE 1: DAILY SKINCARE PROGRAM works by helping exfoliate and protect the skin. The exfoliating beads and salicylic acid in the ZO® OFFECTS™ EXFOLIATING CLEANSER help to exfoliate dead skin cells and keep pores clear, as do the fine crystals in ZO® OFFECTS™ EXFOLIATING POLISH. 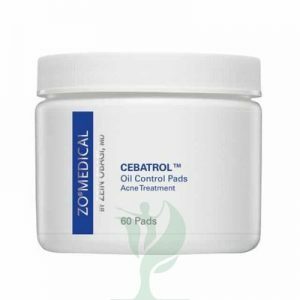 The salicylic acid, glycolic acid, and texture of the ZO® OFFECTS™ TE-PADS ACNE PORE TREATMENT also help to exfoliate skin while helping treat acne. ZO® OSSENTIAL™ DAILY POWER DEFENSE contains ultrasomes, roxisomes, retinol, and matrixyl 3000 to help stimulate skin cell turnover and encourage skin repair for firmer skin. These products also contain moisturizers to help soothe skin and antioxidants to help protect skin from damage. The final product in the skin care regimen, ZO® OCLIPSE™ SUNSCREEN + PRIMER SPF 30, contains titanium dioxide to help provide UVA/UVB protection to skin, helping protect skin from sun damage and premature aging. Together, the products in ZO® PHASE 1: DAILY SKINCARE PROGRAM help to improve and maintain the look of an even skin tone with fine pores while keeping skin hydrated and protected from the sun.